Our dental office in Long Grove knows there are many choices when it comes to choosing beverages. There are display cases of drink options at the local convenience and grocery stores – not to mention all of the different drinks available at your nearest drive-thru or coffee shop. Beverages on the go often come with straw, but how often do you think of taking a swig through a straw at home or at work? We’re here to tell you that the oral and overall health benefits that straws have might make you reach for one all the time. Our Long Grove dental office is pleased to share these benefits with you as another way you can help protect your teeth from disease and decay. Using a straw when enjoying your favorite beverage is a good way to help protect teeth against common staining often associated with long-term exposure to dark-colored foods and drinks like coffee and tea. 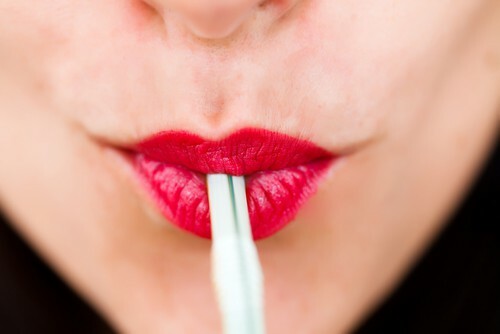 By using a straw, you can help avoid constant and direct contact with your teeth. Allowing beverages to come in contact with your teeth can not only allow discoloration, but can also have a direct effect on your oral health. The more of the liquid that comes in contact with your teeth, the more exposure they have to sugar, and we all know that sugar isn’t good for teeth. Straws help direct beverages away from your teeth, and even though some contact does occur, it’s minimized when you’re slurping through a straw. This means less bacteria and sugar actually stick to your smile, reducing the chance of decay. Bacteria and germs are always lurking in and around your home and restaurants on cups and glasses. And when you put those cups to your mouth to sip, there’s a chance the bacteria can inhibit your oral health. Avoid this by using a straw. Your dentist in Long Grove always wants you and your teeth to be as healthy as possible. Consider using a straw when enjoying your favorite beverages, both hot and cold. We think you’ll enjoy seeing these benefits and so much more! Accepting new patients from Long Grove, Buffalo Grove, Lake Zurich, Buffalo Grove, Lake Zurich.